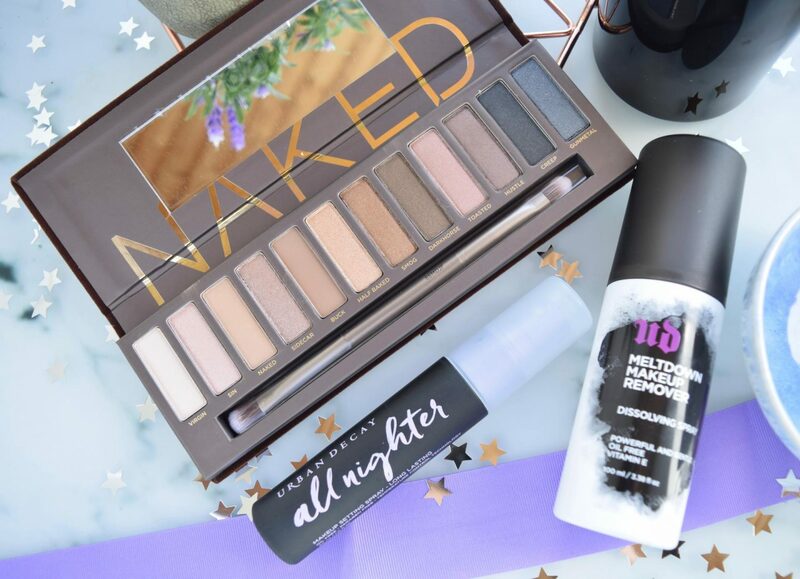 Urban Decay has been one of my favourite brands since I was a teenager. I spent all my money on their single eyeshadows and spent many a day covered in the fallout of glitter from the old school formula of the midnight cowboy eyeshadow. 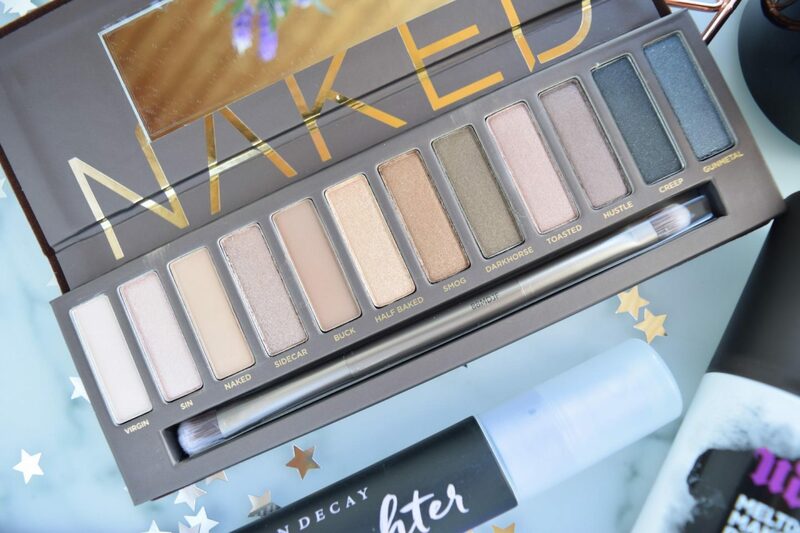 I have loved the original Naked Palette for years but now, in 2017, they have come out with so many new and innovative products I don’t know where to start because I want them all. After 16 years of loving Urban Decay, they actually sent me a PR package with the original Naked palette to replace my battered old one, the new Urban Decay Meltdown Makeup Remover Dissolving Spray and the newly reformulated All Nighter setting spray. To say I was ecstatic would be an understatement. So here are my reviews of the two new product and some pretty pictures of the Naked Palette since I am sure you all know by now how amazing that is. All of this ’24 hour foundation’ and baking malarkey and trying to keep your makeup on as long as possible produces one problem. How the heck do you get it all off? Double cleanse, quadruple cleanse, or maybe a jetwash? Urban Decay has created a new range of makeup dissolving products to combat this problem including this one, the makeup dissolving spray. It’s formulated to remove even the most stubborn waterproof makeup such as liquid matte lipstick and 24/7 eyeliner pencils. The dissolving spray is as powerful as it is gentle. It’s actually really nice, not irritating and does get off every trace of makeup. I’m not sure about their claim of not leaving a greasy residue, as I do have to tone to get rid of the residue but it does really work and I tone anyway so it doesn’t really matter. My one confusion with this was that firstly I tried it and it didn’t work and I thought, what am I doing wrong? But where they instructions tell you to spray onto a cotton pad and wipe off the makeup I don’t find this to work that well. What I find works amazingly is to spray directly onto the face and then wait a minute for it to do its thing. Then take a warm damp flannel and remove. NOW every scrap comes off. None of that cotton pad stuff for me thanks, I find it too wasteful to use those for cleansing AND toning anyway. It works amazingly well. Ten out of ten! I’d tried the other makeup setting spray in the range and I wasn’t a fan so I was hoping this one would be better for me. I do get tired of my foundation looking dry and cakey and just rubbing off after 3 minutes when I have to keep blowing my nose because of hay fever if I don’t use a setting spray. This actually, I am happy to say, works fabulously! Now here’s the science I didn’t know before using. It’s apparently been developed in an exclusive partnership with Skindinavia. 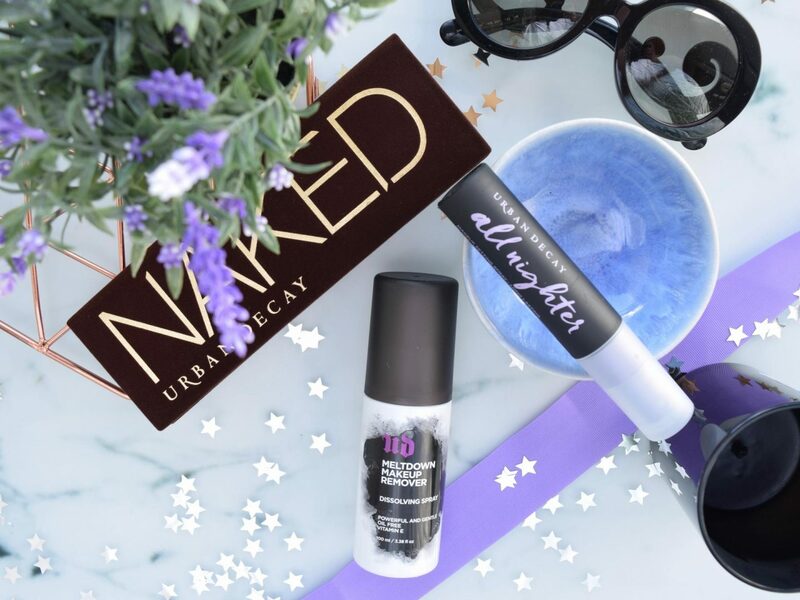 Urban Decay’s groundbreaking, tested formula is suitable for all skin types. It’s free of oil and parabens and features patented Temperature Control Technology. Yep, it lowers the temperature of your makeup to keep foundation, eyeshadow, blush, and concealer in place even in hot and humid or cold and windy conditions. The result is smoother looking skin and vibrant makeup that lasts all day (or all night). 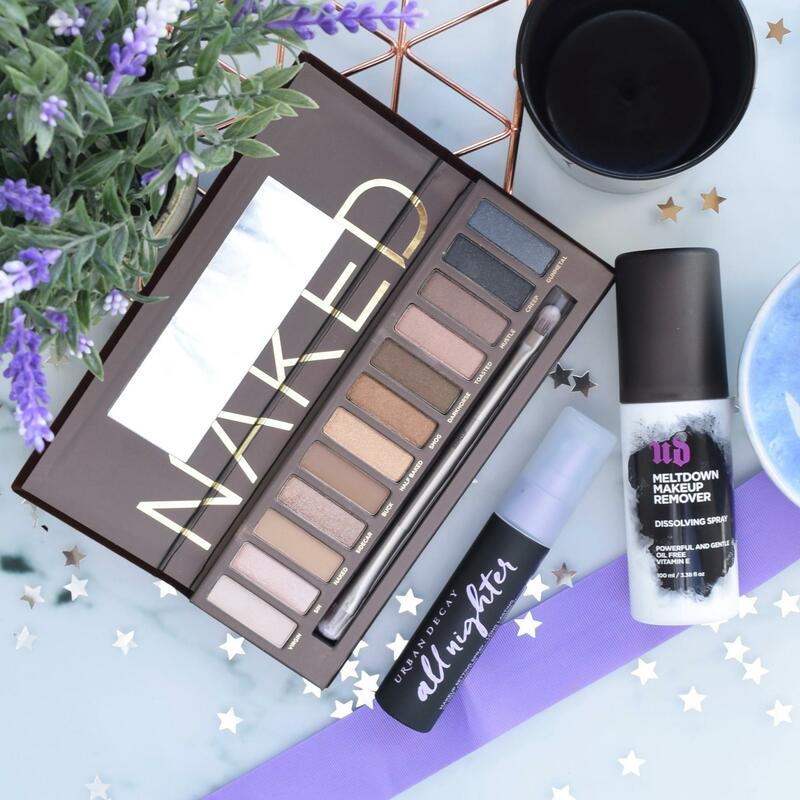 What’s your favourite Urban Decay product?